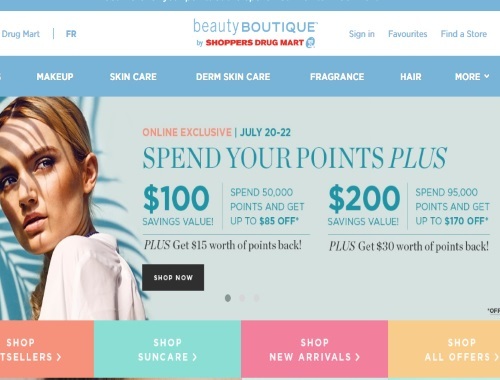 Shoppers Drug Mart's Beauty Boutique has a Spend Your Points Plus Event on now! Spend 50,000 Points ($85) and get $15 in points value back. This is an online exclusive, July 20-22, 2017.